Mary Lou Fuson, age 78, of Ralph Fuson Road, Pineville, Kentucky departed this life on Wednesday, December 4, 2018 at Baptist Health in Corbin. She was born on August 1, 1940 in Knox County, Kentucky to the late Greg Bain and Angeline (Jones) Bain. She was preceded in death by her husband of over 50 years, Ralph Fuson and a son, Terry Fuson. Mary was a member of Cornerstone Baptist Church. 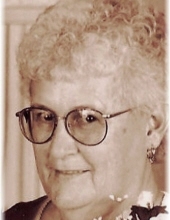 She is survived by her daughters, Debra Rose and Brenda Rhodes of Pineville and Barbara Minton and Tammy Fuson-McGregor (Johnny) of Corbin; son, Gary Fuson (Lois) of Pineville; five grandchildren, Tina Simpson, Michael Rhodes, Rhonda Lawson, Alicia Love and Kodi Jordan; seven great grandchildren, Alex O’Connor, Addison Grace Wilder, Carter Quinn Lawson, Ava Knuckles, Shelby Love, Bristal Jordan and Brise Jordan; daughter-in-law, Pat Fuson;several nieces and nephews; and a host of other family and friends to mourn her passing. Visitation will be after 5:00 P.M. Thursday, December 6, 2018 at Croley Funeral Home. The Funeral Service will be at 11:00 A.M. Friday, December 7, 2018 at the Croley Funeral Home Chapel with Rev. Johnny Partin officiating. Following the Service she will be laid to rest in the Fuson Cemetery on Greasy Creek. To send flowers or a remembrance gift to the family of Mary Lou Fuson, please visit our Tribute Store. "Email Address" would like to share the life celebration of Mary Lou Fuson. Click on the "link" to go to share a favorite memory or leave a condolence message for the family.